Alldocube is probably an unheard name in the headphone industry, but it is a brand quite well-known for making affordable Android and Windows-based tablets. As the demand for tablet products is shrinking, this Chinese company began to venture into other markets. The Alldocube F40 quad-driver headphones are arguably the brand’s first attempt to break into the Hi-Fi industry. Don’t get me wrong, Alldocube has released a couple of wireless headphones before, but none of those products has made an impact big enough for the company to be considered a legit headphone maker. 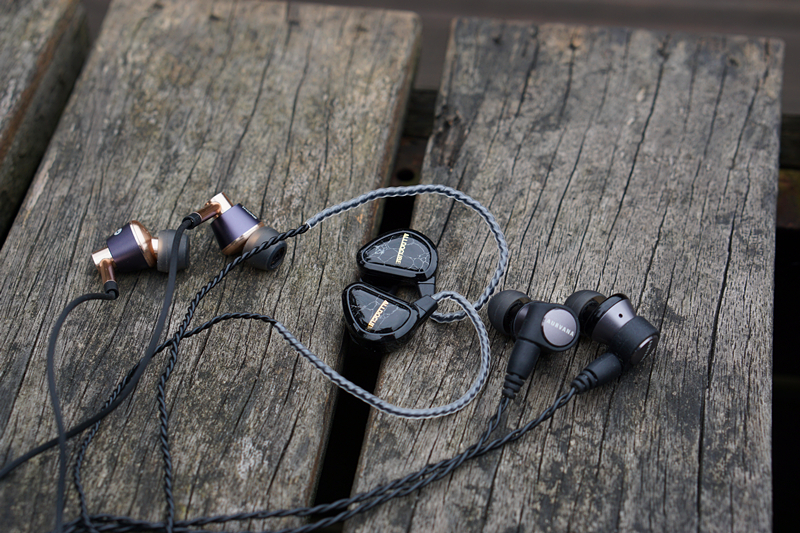 With four driver units in each of the earbuds and the OFC 4-wire cable, the F40 definitely looks like a promising start and may have the potential to be an ambitious contender. However, could the lack of experience in processing and tone tuning be made up for by impressive hardware remains a question that needs to be answered. The F40 comes with very simple packaging. Inside the box you could only find the earphones and two extra pair of tips (big and small). There’re no premium accessories such as a carrying case or an airplane adapter. This is a very familiar form factor. The Alldocube F40 design looks like a cross between the Astrotec S50 and Shure Sennheiser IE60. Probably the most striking part of the F40 is the back of the earbud. Made from natural tophus, we can see these beautiful, yet unique patterns of lines. However, the Alldocube branding is way too intrusive and totally ruins the aesthetics in my opinion. Something more subtle or no branding at all would give these earbuds a much more premium feel. The F40 nozzle also doesn’t have such a prominent lip like the ones on the Creative Trio or the 1more Tripe Driver do, but it is still able to grip the eartip nicely. The cable is the standard OFC 4-wire cable with a heat-shrunk black plastic finish. In fact, it looks a lot like the cable used for the Creative Trio, only the latter is detachable and the one on the F40 is not. 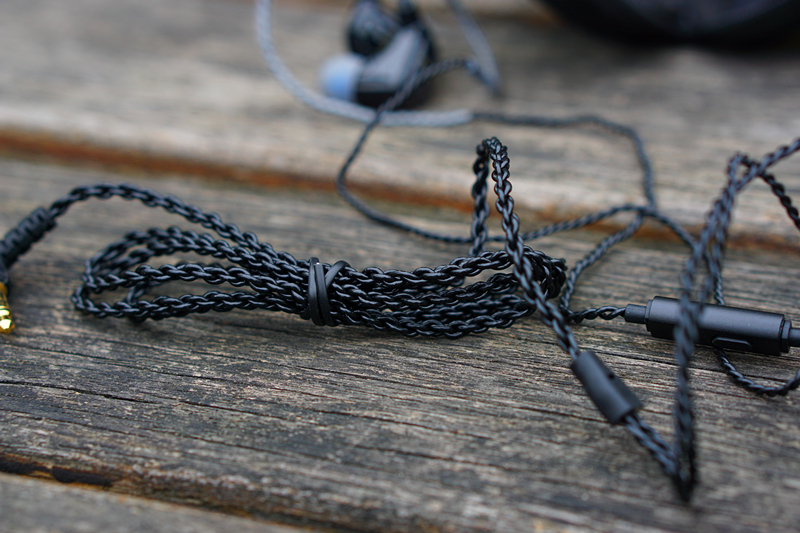 the physical qualities of the cable are good with a very lightweight feel, super low physical noise on the wire and next to no memory retention. Unlike the 1more E1001 triple driver or the Creative Aurvana Trio, the F40 employs the more ergonomic over-the-ear design. 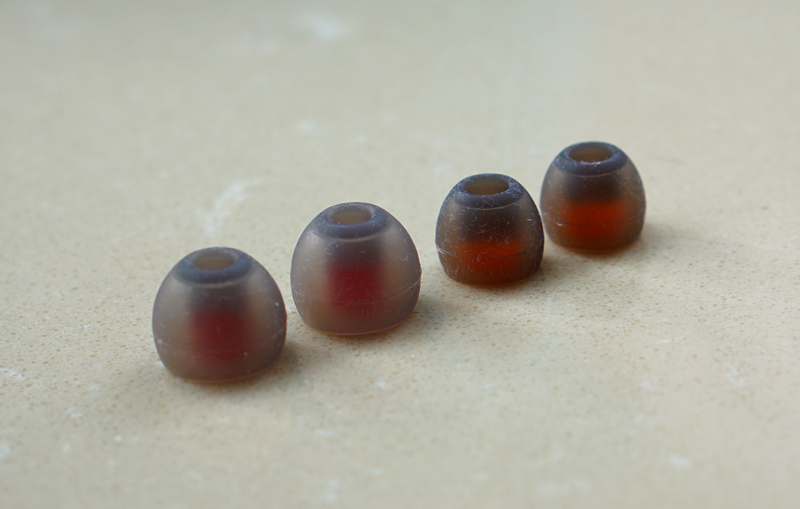 The part of the cable that connects the earbud is wrapped by transparent silicone, which has memory and can be bent to fit different ear shapes. Alldocube has also seen fit to throw in a remote playback and mic option down the right side for smartphone users. 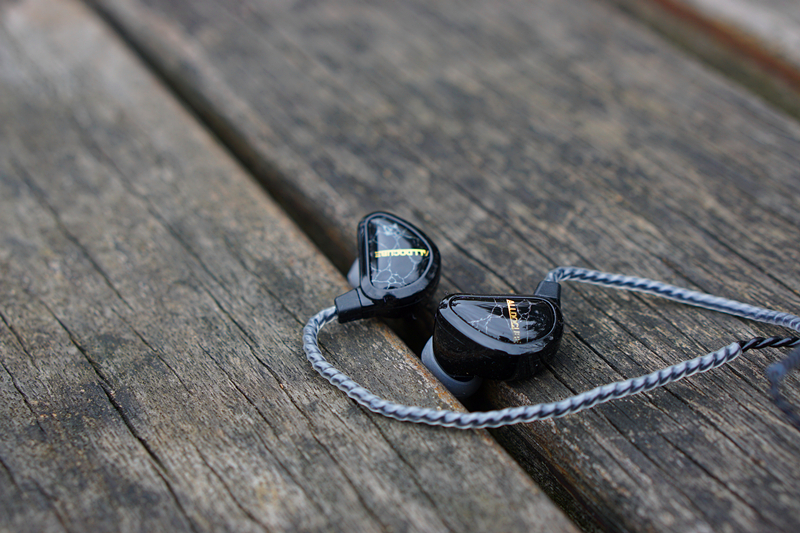 The IEM feels sturdy and could probably take some knocks without any damage, but made mainly from plastic, the overall build quality is still nowhere near premium like the 1More Triple Driver, it is also not on par with the Aurvana Trio when it comes to those intricate details. The Alldocube F40 is meant to be worn over the ears, which definitely gives a more stable fit than the straight-down wearing of the 1more Triple Driver and Creative Aurvana Trio. 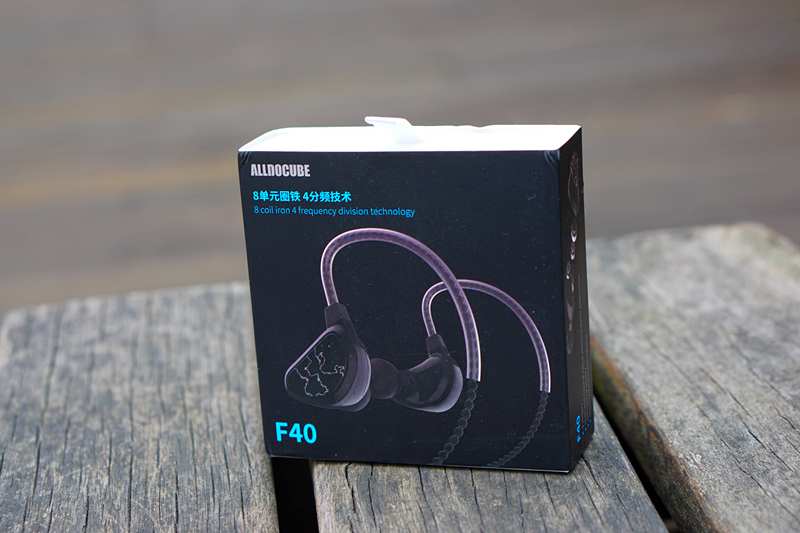 Thanks to the lightweight earbuds, there won’t be a lot of fatigue during the first couple of hours’ wearing the F40. 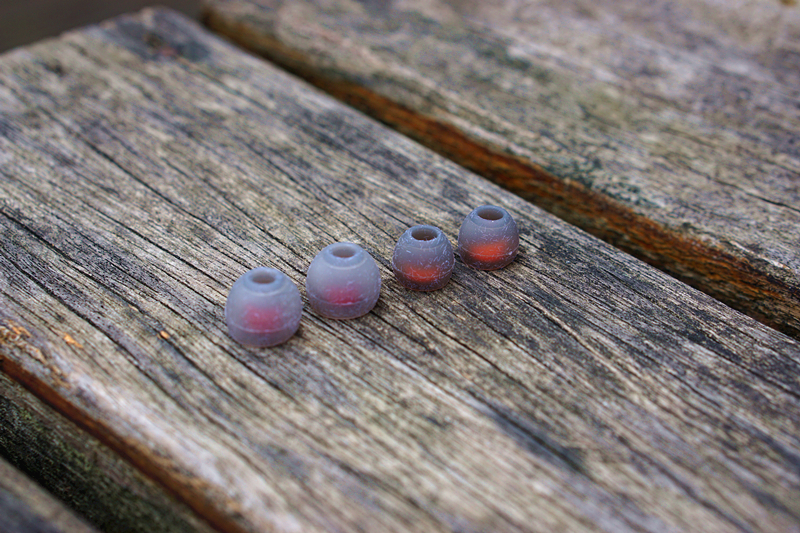 But the discomfort will kick in if you wear them for a long period of time, like it is with most in ear monitors. The isolation of the F40 is decent, but not great. 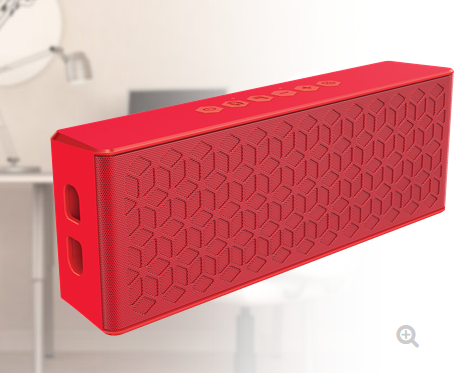 It could passively seal out most of the ambient sound if you use the right-sized tips and play the music loud enough. The IEM doesn’t leak much sound. Your colleagues sitting across you will struggle to hear any audible sound leakages unless the volume is crank a volume even unbearable for yourself. 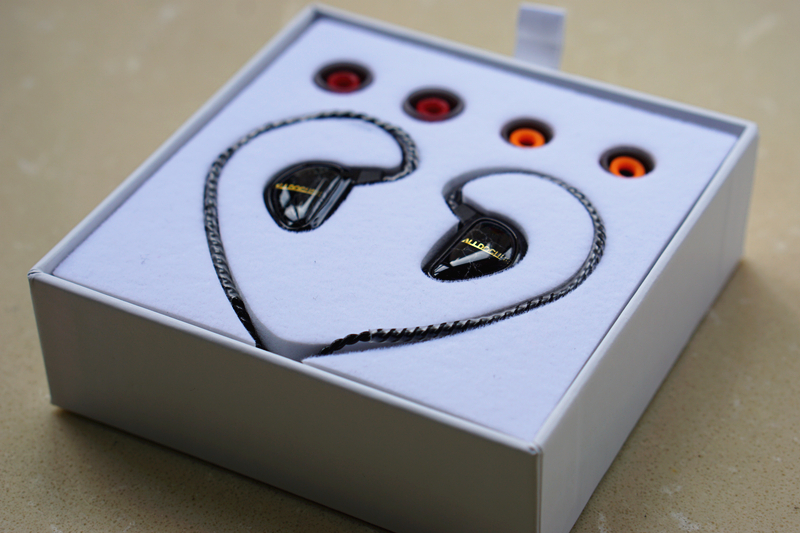 The F40 has triple dynamic driver units and one armature unit in each of the earbuds. This is a solution rarely used in other headphones. 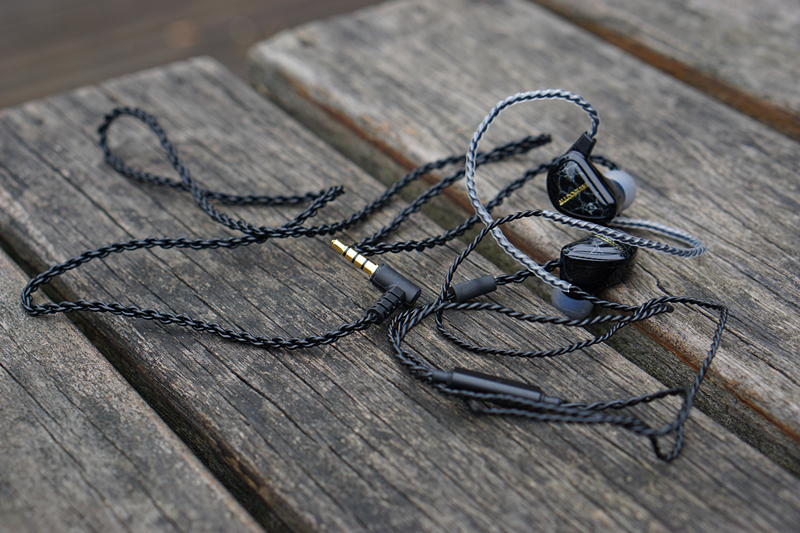 The IEM has an impedance of 16Ω, a sensitivity rating of 102dB, and frequency response of 20-20KHz, these numbers mean that the F40 should work fine with most sources. I’ve used it with my headphones, tablets, DAPs and PC, none of these devices struggled too hard to give the F40 the drive it needed, but sound quality did vary among different sources. Alldocube recommended using the F40 with its very own Alldocube X tablet, which has an AKM AK4376A DAC in it. 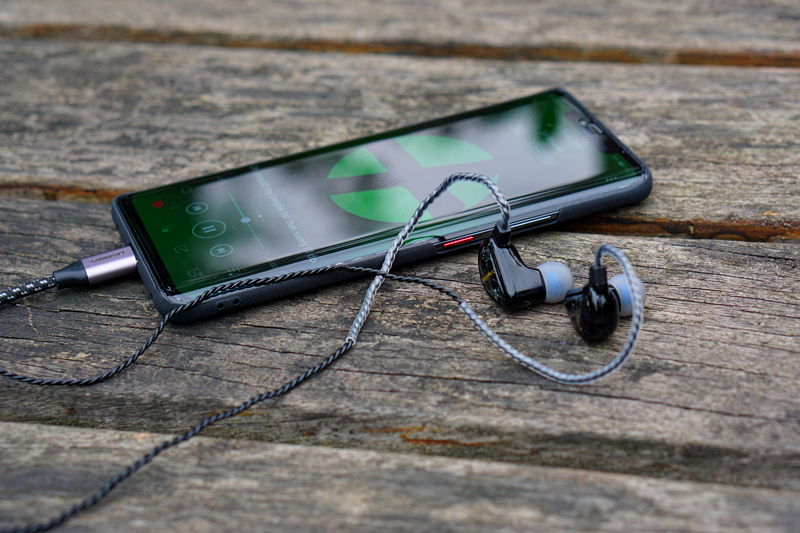 This combination is definitely better than using the headphones with average smartphones like the Samsung Galaxy S7 Edge and Huawei Mate 20 Pro. But I did find that those earbuds could deliver significantly better sound when plugged into a professional DAP like the Shanling M5. As a brief summary, the F40 sounds good. 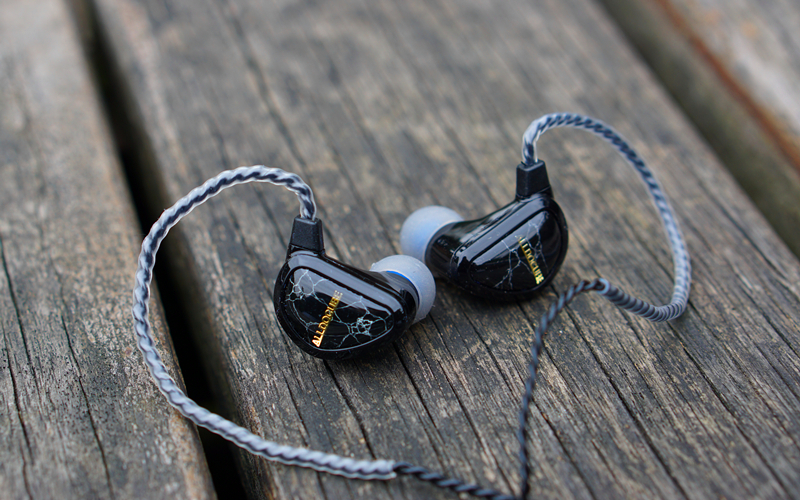 These earbuds offer the forthright bass and mid-range of much higher end headphones, producing a powerful sound. In fact, it sounds clearer, richer and more textured than my Monster Turbine and B&O Beoplay H3, both of which only come with a single dynamic driver. There is quite a lot of bass, which can go fairly deep, too. Listening to Cardi B’s “Money” and G-Eazy’s “Sober”, I got fast punchy impactful and deep beats over and over again, but no boomyness at all. 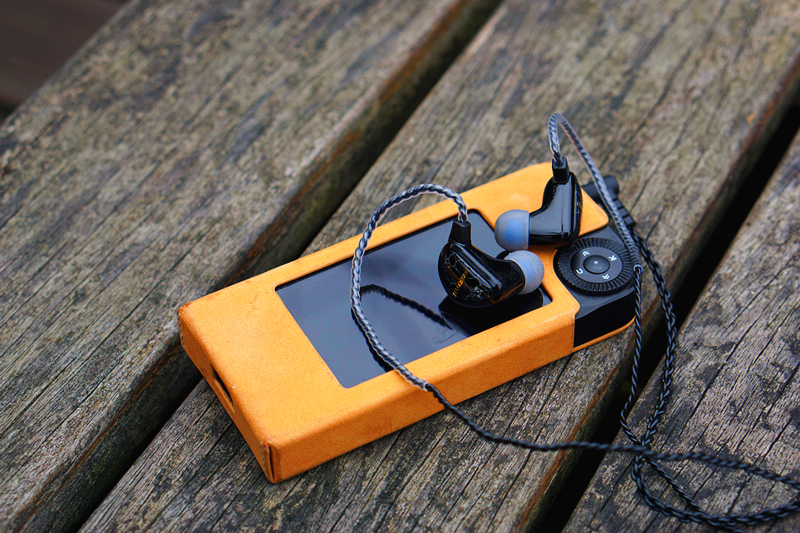 These earbuds also handle voices and instruments quite well. Compared to the more expensive 1more Tripe Driver, the F40 is not quite as tonally sweet but there is no shortage of detail and the separation. It even manages to give large pieces of music like the high res FLAC of Ed Sheeran’s “I See Fire” a sense of soundstage - something that is a tricky task for most in-ear monitors. Voices and instruments generally sound right and believable although the former is slightly better than the latter. Simple pieces with solo piano or guitar have a slightly metallic tone, which can be a little distracting. 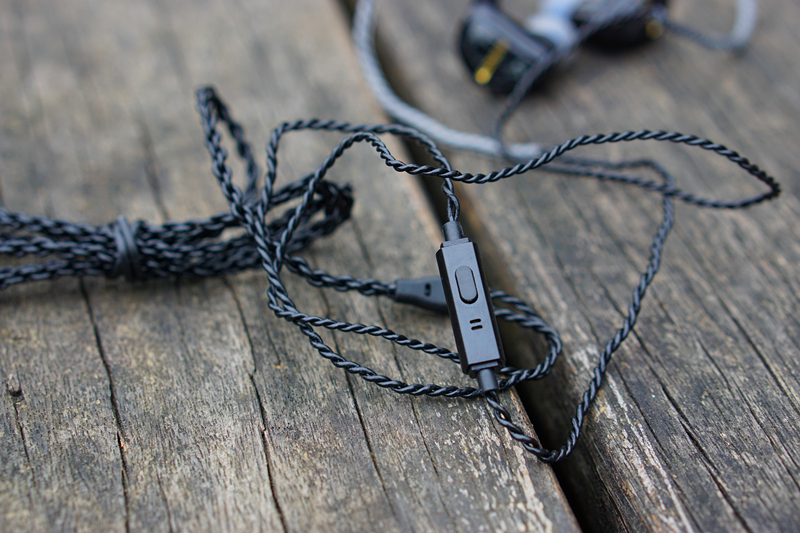 What really astonishes me is how coherent these earbuds could sound. Despite being a quad-driver, there is very little driver phase coherence issues. The three dynamic drivers and one armature driver really work very well together in creating a cohesive, full-bodied, yet textured sound. In comparison, the 1more Triple Driver and many other entry-level hybrids often struggle with delivering the smoothness in transitions of different frequencies. With that said, like all entry-level hybrids, the F40 is bound to have some compromises. There is some amount of thickness to the upper-mids and low-bass, and it gives the F40’s sound a lot of warmth, but can also confuse more complex recordings or those that have a particular emphasis on this part of the frequency spectrum. 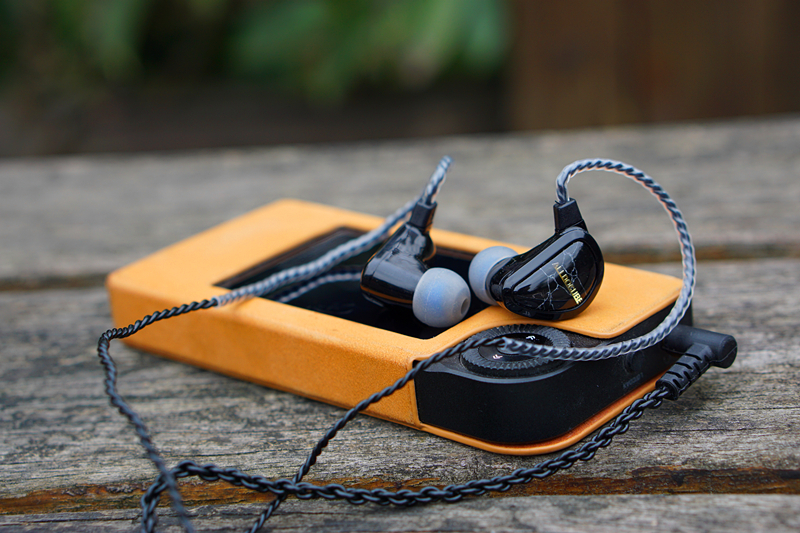 Unlike the Creative Aurvana Trio, the F40 doesn’t perform very well at low volume, the music becomes weak and limp, and lots of intricate details in the arrangement disappear. High-end detail and resolution are also not a patch on the Creative Aurvana Trio, which provides a more open, clear sound. The F40, on the other hand, can sound a little too boxy at times. 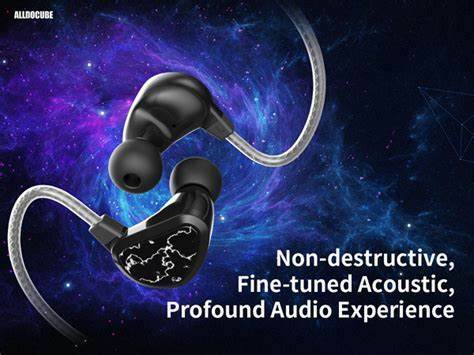 Of course, comparing with headphones more than twice the price is rarely a favorable comparison, but this lack of top-end focus married to the low-mid bump results in less clarity than many similarly-priced sets, such as the 1more Triple Driver and Astrotec AM850. For $69, the Alldocube F40 offers a lot of Hi-Fi. 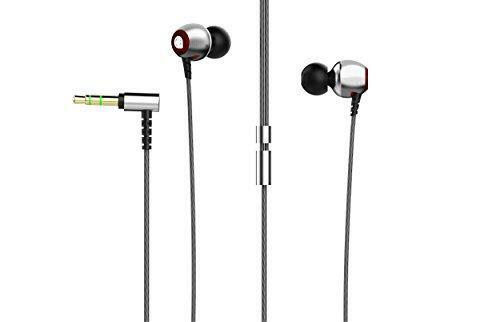 These earbuds work well with many genres of music, particularly with modern pop, R&B and Hip-hop. 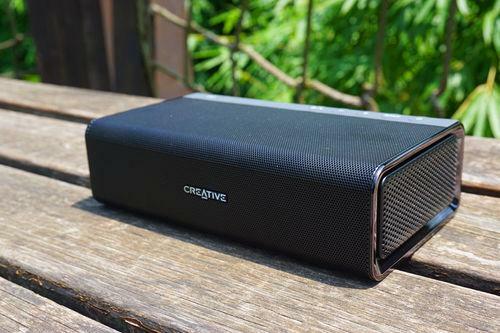 Although they won’t rival midrange or high-end hybrids such as the Creative Trio or the Astrotec Delphinus5 Penta Driver in terms of overall sound quality, they do better most of the offerings in the same price range. If you want an entry level hybrid and don’t mind the design with the intrusive branding, the poor packaging and lack of accessories, the F40 is worth taking a look at!